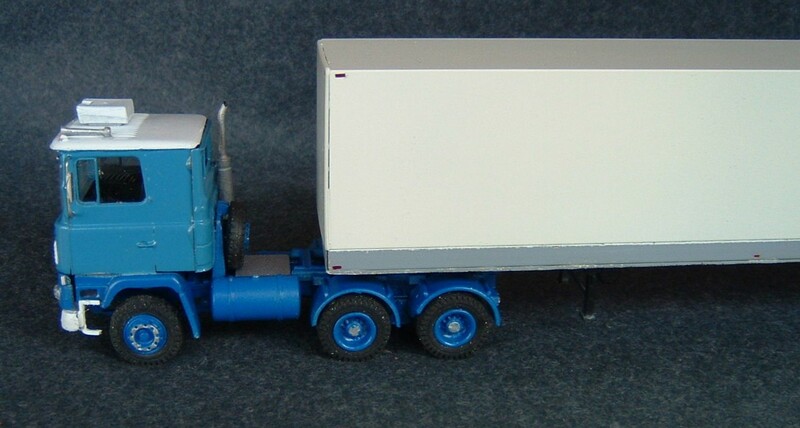 ASAM models, which used to be A Smith Models, produces a huge range of European and British truck all in white metal kit form. Sometime in the past they produced a few American trucks such as the Ford LTL 9000 highway tractor. 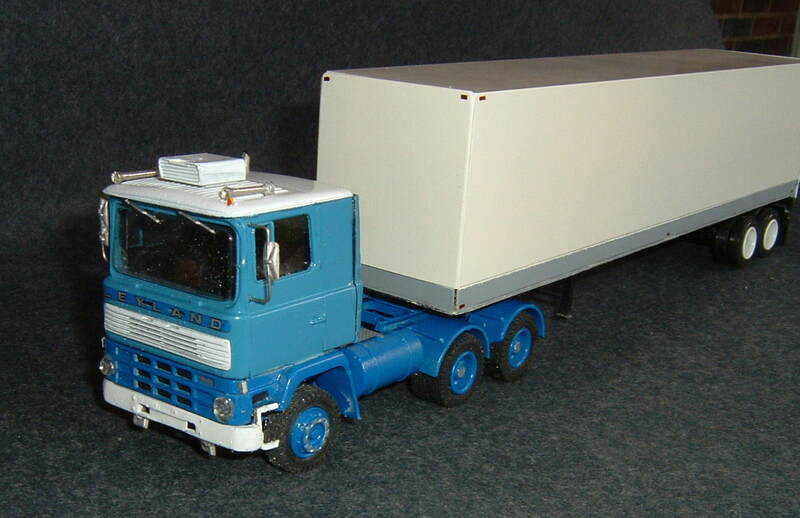 Now their range includes such items as vintage AEC, Bedford, Foden, Dennison, MAN, Scammel, Thorneycroft, and some military items such as tanks and tank carriers all in 1:48th scale, a common collecting scale for large commercial vehicles. Their range is quite astounding but they seem to be sort of in the background and not commonly featured, at least in MAR. A browse through their website http://www.asam.co.uk will show the extensive offerings and provides pricing and ordering information. Since I enjoy building the occasional kit and love to replicate anything British Leyland, and other interesting British vehicles, passenger, commercial and heavy commercial, the ASAM kits are a great hobby. 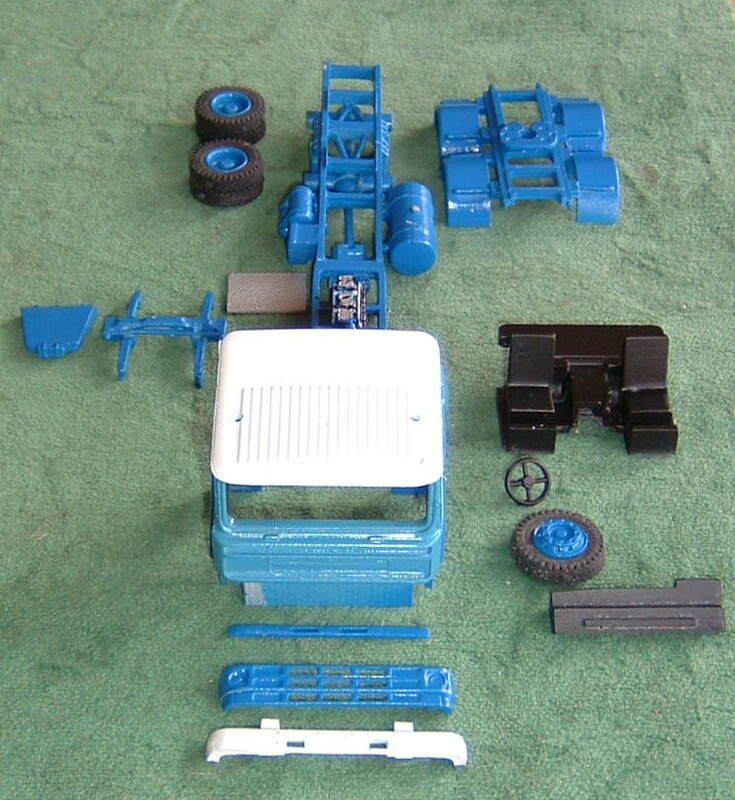 The kits come with a parts listing, photo pages showing the parts laid out and assembled. Step by step instructions such as would be provided with a Revell or AMT plastic kit are not included. Therefore, there is a bit more knowledge and skill needed for assembly. As with any white metal kit there is some fine filing and finishing needed for some of the parts. Trial fitting is essential before final assembly. I find that painting many of the items before final assembly is useful. 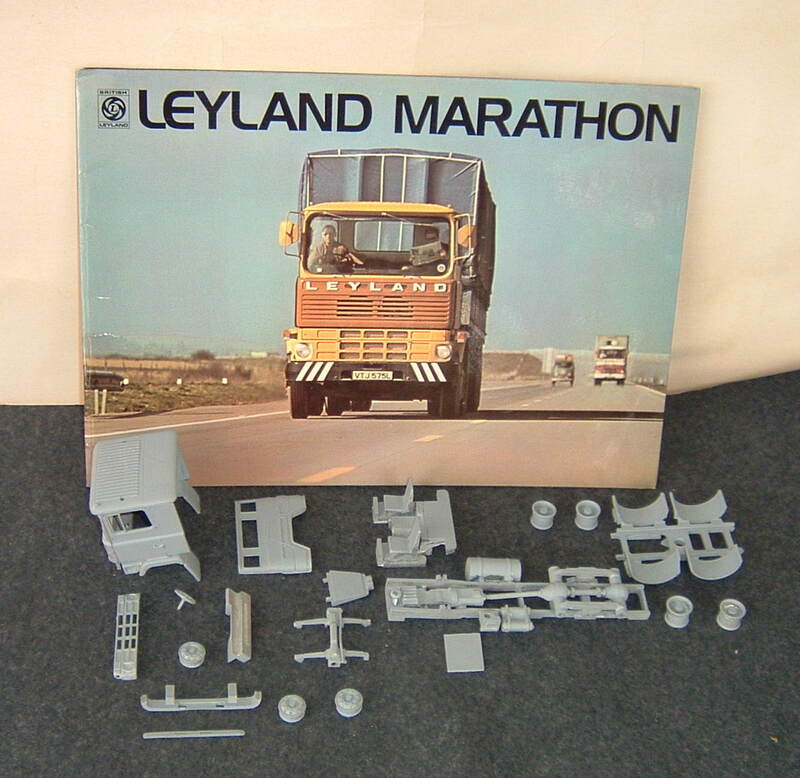 There are decals in the kit such as the LEYLAND letters for the front and with this kit there was livery decal “British Road Services UK-Iran”. I chose to make the final color more generic without the livery. Google images will provide many, many idea on color schemes. I also chose not to fit the livery board at the top of the cab or the “tropical” raised roof but did use the air-conditioning unit. In fact for some reason there were duplicate parts supplied in the parts bags for some reason but that is better than missing parts. 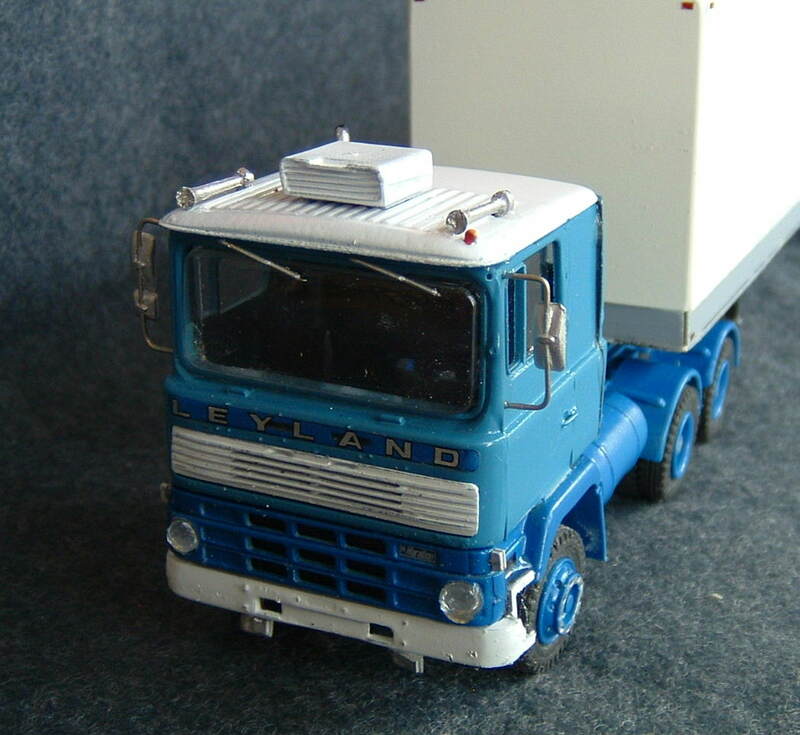 This truck was known as the Leyland Marathon 2 and was available as a two or three axle truck with a day cab or a sleeper cab. Engines were Leyland TL12, Leyland 11 of 200 BHP or Cummins in 10 and 14 litres up to 330 BHP. The cab was a raised and modified version of the Ergomatic cab launched in 1965. Production began in 1973 and continued until 1977 when the Marathon 2 was launched and produced until the still newer Leyland T45 Roadtrain was in production. ASAM also makes kits of various versions of this truck as well. The trailer in the photos is a separate item from my collection and not part of the ASAM kit.